Search engine giant Google celebrated Bangladesh’s 49th Independence and National Day by replacing its regular logo with a special doodle. Google Doodle is a special, temporary alteration of the logo on Google’s homepage to celebrate holidays, events, achievements and people. 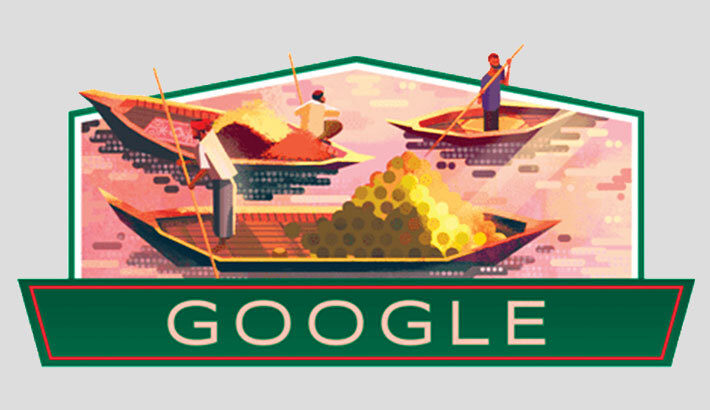 The doodle, featuring three boats containing different goods on a river, has been seen above the search box on the homepage of Google since early Tuesday. Google Doodle was launched in 1998. Google first made a doodle in honour of Bangladesh’s Independence Day in 2013, commemorating the 43rd Independence Day of the country. On March 26, 1971, Bangabandhu Sheikh Mujibur Rahman declared Bangladesh’s independence following the crackdown on unarmed Bangalis on March 25 night by the then Pakistan occupation army.